Following the success of the first Robinsongs Zapp reissue of their first three albums, we now bring you albums four and five “The New Zapp IV U” and “Vibe” on a 2CD set. “The New Zapp IV U” was originally released in 1985 and was certified Gold in America. The album featured the singles ‘It Doesn’t Really Matter’, ‘Itchin’ For Your Twitchin’’ and Top 10 R&B Hit ‘Computer Love’. 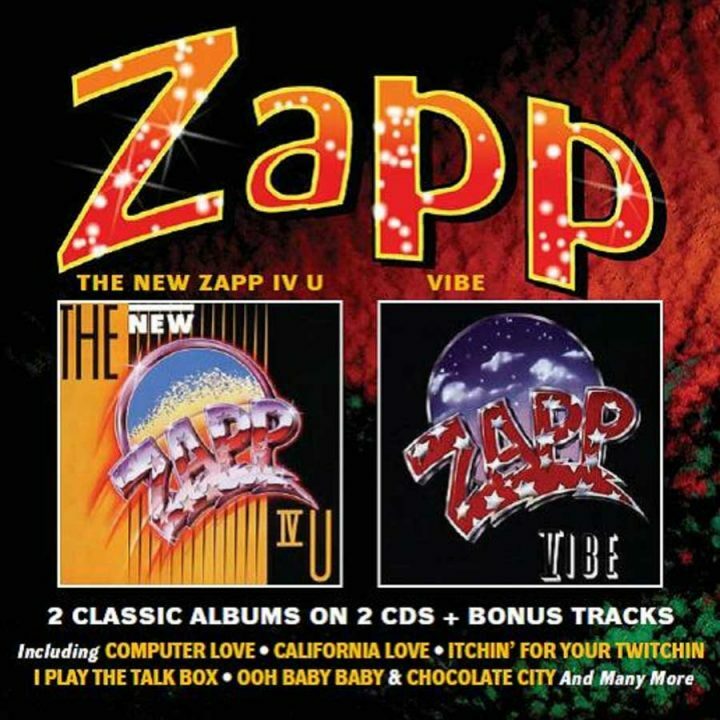 Originally released in 1989, Zapp’s fifth album “Vibe” featured the single ‘Ohh Baby Baby’. The album also featured the standout tracks ‘I Play The Talk Box’ and Zapp’s unique version of the Ohio Players classic ‘Fire’. But the real treat on this package are the bonus tracks: we have Zapp’s version of the 2 Pac classic ‘California Love’; the extended and instrumental versions of ‘Computer Love’; the band’s version of ‘Chocolate City’; the extended version of ‘I Play The Talk Box’ and plenty of other gems. The story of Zapp did not have a happy ending: tragedy struck in 1999 when Roger was shot dead by his brother Larry, who then turned the gun on himself. No motive was clear. This release features liner notes by MOJO & Record Collector writer Charles Waring.